Our hand dryers are perfect for shopping centre washrooms as they are powerful, cost effective, eco-friendly and hygienic. They have been innovatively developed and they include advanced features such as brushless motors, resulting in them being the best on the market. Each one upholds the globally recognised ISO standards and we are a Carbon Trust accredited supplier, which indicates the sheer quality of our units. We have installed our hand dryers in shopping centres across the UK. 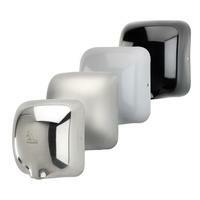 Take a look at our shopping centre hand dryers.